Six story hotel with gathering rooms, a pool, business center, kitchen, buffet, social seating and outdoor commons area. 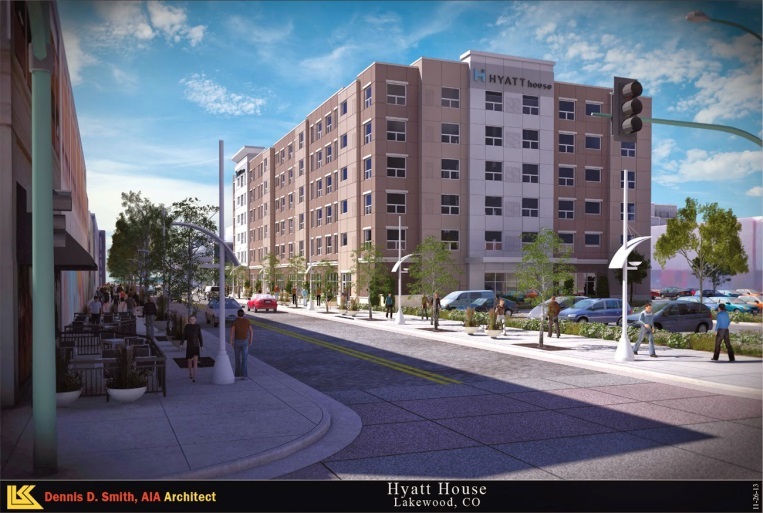 The Hyatt House is the first hotel in the trendy Belmar neighborhood. The 135 room, 96 thousand square foot hotel includes a podium level and five stories featuring amenities such as a pool, workout center, and large gathering spaces on the first floor. The hotel is straddled by an outdoor commons area. LEI’s scope of work included distribution and feeders, lighting and lighting control, branch power, mechanical connections, fire alarm, rough in of tele/data, security, A/V and CATV. The LEI Prefab team assisted the field crew in the rooms, racks, common areas and feeders.